Heroes, Heroines, and History: Pharmacists in Early 20th Century in America and a Giveaway! 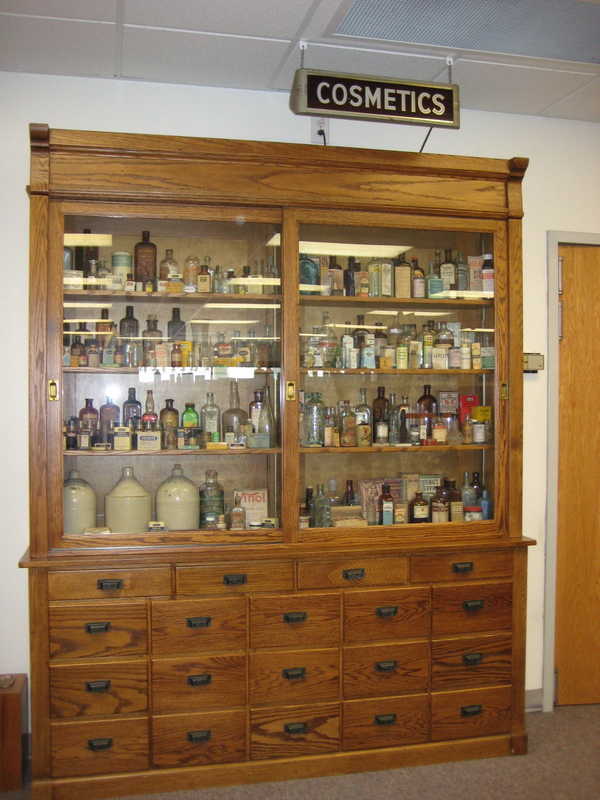 Pharmacists in Early 20th Century in America and a Giveaway! Walking through the Detroit Historical Museum many years ago with my kids I loved the underground timeline of a main street through history, including shop fronts. When you get to the brick-paved area it includes a drug store with two old-fashioned show globes hanging in the window and historical products displayed. Something about it intrigued me. When I heard the story about my father-in-law sitting on a pair of scissors and having the corner pharmacist stitch up his wound, I found that interesting as well. Even my visit to Colonial Williamsburg gave fodder to my imagination with its charming apothecary shop. Dried herbs hung around the store and glass jars were filled with ingredients. With those thoughts filed away in my mind and reading other things about the history of apothecary I decided to make my hero in my latest release a turn-of-the century pharmacist. Apparently there is a disagreement as to whether the first drug store in America was in New Orleans, because of having the first registered pharmacist running it, or one in Fredericksburg, Virginia purported to be the one where Martha Washington once shopped. Around the time of the Civil War, scientific methods started being considered more important in the pharmaceutical arts. Several years before that, the first textbook of pharmacy of American origin, Practical Pharmacy by Mohr, Redwood, and Procter, was written. Throughout the century schools of pharmacy popped up around the country, such as the Philadelphia College of Pharmacy in 1823 and the New York School of Pharmacy in 1829. This brought about a more consistent study of pharmacy than apprenticeship alone though druggists still weren’t required to be licensed. If you thought enteric-coated tablets or gelatin capsules were a more recent development of the 20th century, Parke, Davis, and Company of Detroit began mass producing them around 1875! 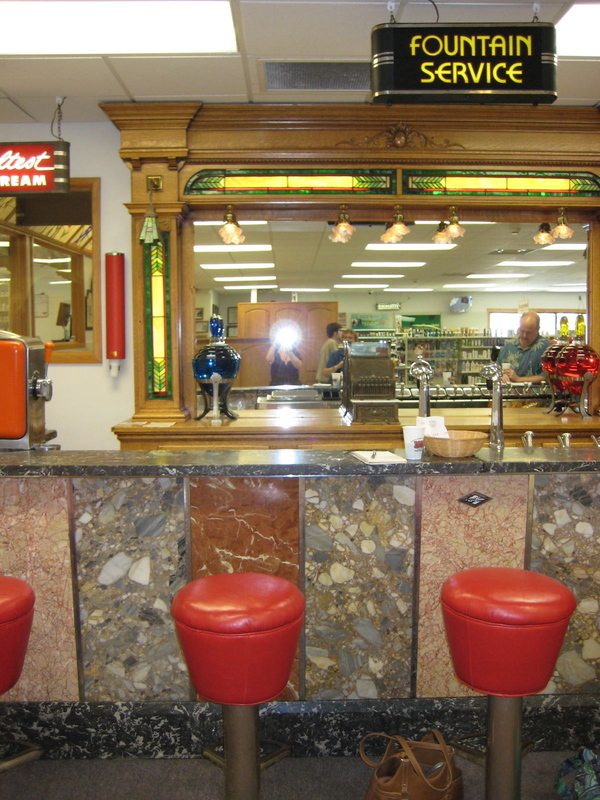 The drugstore soda fountain first appeared in the 1880s. They might have served up a refreshing cherry Coke, or perhaps a root beer. I have to wonder if they served the original Coke with its energizing but addictive ingredient of cocaine. The drug store soda fountain became an important Main Street destination in many a small town in America. 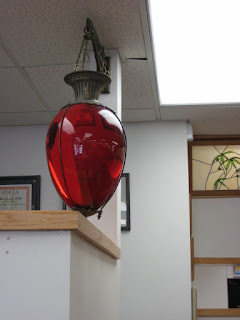 One of the first things a turn-of-the-century customer might notice in the front window of a local drugstore was a large jar or glass container hanging by a chain or sitting in a stand and filled with colored liquid. This colorful attention getter is called a show globe. Despite the legends of different colors signaling epidemics in the town, this is highly unlikely. Show globes originated back in the time of the alchemist. Like the alchemist, the pharmacist would show off his prowess in mixing chemicals by coming up with different colors. If mixtures of different densities were layered, they could even produce a striped effect! Inside the drugstore the prospective customer might find any number of tooth powders, cosmetics, and patent medicines on the shelf. They could peruse corked bottles, tins, and jars, to see what was available. Lining the walls were apothecary cabinets. Behind the clear glass doors lurked tinctures and tonics while the herbs they were extracted from were stored in the drawers below. Perhaps you would see a mortar and pestle which the pharmacist would use to ground the dried herbs. You could ask the pharmacist for help with finding a suitable medicine for your teething baby. 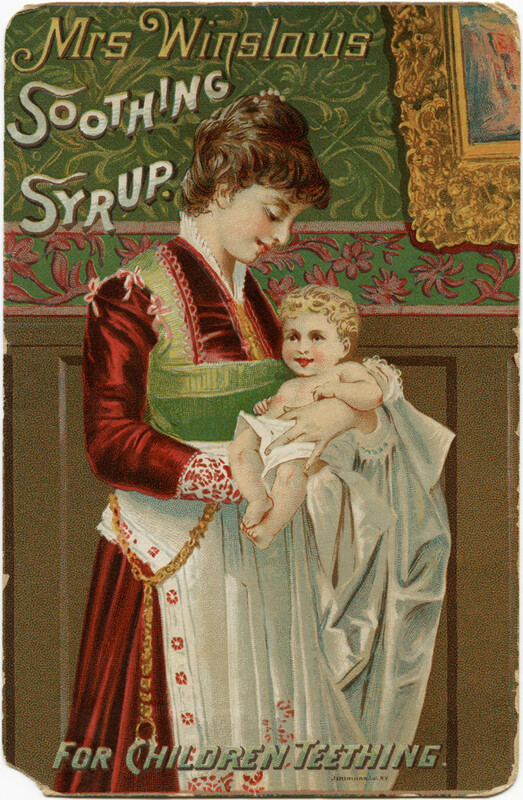 He might recommend the patent medicine, Mrs. Winslow’s Soothing Syrup, which with its opiate content would most likely put your baby to sleep in a jiffy, while also addicting her and endangering her life. And if you had “female complaints” you might be introduced to Lydia E. Pinkham’s Vegetable Compound. This remedy contained several herbs thought to help women, including black cohosh, but the original also contained a fair amount of drinking alcohol to calm the nerves. Today there is still a version of her remedy on the market called Lydia Pinkham’s Herbal Compound. You might be given cough medicine which contained horehound, a strong licorice-like flavored herb. Several expectorants were used. Only guaifenesin is still used in drugstore cough medicines today for that purpose. Poisonous plants, such as foxglove and deadly nightshade, were discovered to have healing power in small doses. The local pharmacist could use foxglove to create the heart medicine, digitalis, and nightshade could be used to produce the sedative, belladonna. Today you would find belladonna as an ingredient in any number of prescription drugs such as Donnatol. Valerian root with its sedative properties could be used to help gain a good night’s rest. It’s still taken for those properties today. 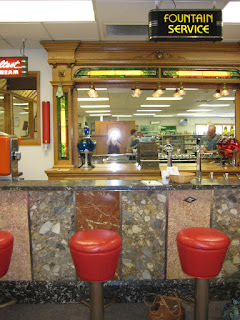 And let’s not forget the soda fountain. A pharmacist of the late 1800s and early 1900s would use flavored syrups or find carbonation helpful to drown out the bitter taste of their preparations. This made it logical for the corner drugstore to open a soda fountain. Through the years these became not only a place to meet for a soft drink, but also have ice cream or eat at the lunch counter. The role of the pharmacist has changed somewhat. As larger companies have taken over the market, promising savings, the family-owned drugstore is becoming a thing of the past. Gone are the beautifully polished marble counters where customers could hop on a stool and order a treat. The pharmacist works in an enclosed area, dispensing already prepared medications (unless they work in a compounding pharmacy). While drugstore chains have brought savings, they have also taken away the charm of the historic corner drugstore. 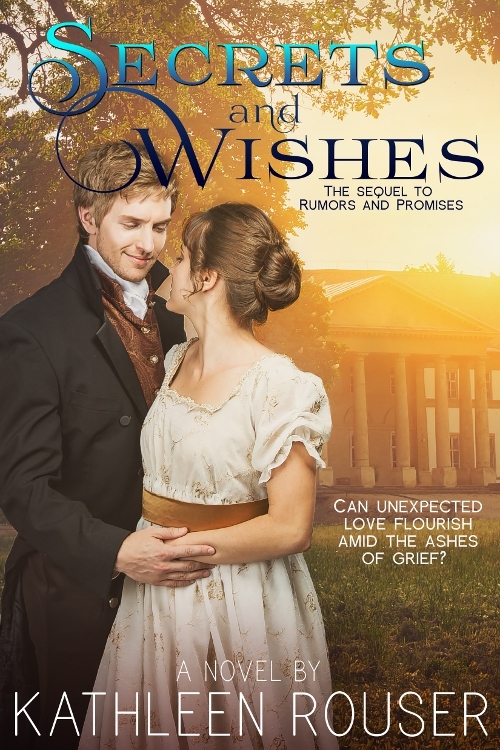 I'm giving away the copy of my newest release, Secrets and Wishes. Please leave a comment to enter the drawing for one randomly chosen commenter to receive a copy of Secrets and Wishes. Ending date is Oct. 21. Can unexpected love flourish amid the ashes of grief? Stone Creek, Michigan - April, 1901: Maggie Galloway and Thomas Harper clash after their sons collide in a fistfight. Both widowed, they're each doing their best as a parent to their children. Outgoing Maggie has dreams for a home of her own and a business to provide for her son as she searches for God's path for her life as a widow. Reserved Thomas struggles to establish his new pharmacy and take care of his four rambunctious children, while wondering how a loving God could take his beloved wife. A baking contest sponsored by the Silver Leaf Flour Company brings former beau, Giles Prescott, back into Maggie's life. When Giles offers Maggie a position at their test kitchen in Chicago, he hints that, along with assuring her a good job, it will allow them to possibly rekindle their relationship. But then a charlatan comes to town, and tragedy soon follows. Maggie and Thomas discover the miracle potions he hawks aren't so harmless when an epidemic hits Stone Creek. Thomas and Maggie realize they must work together to save lives. Maggie finds herself caught up in battles within and without the battle to help the townsfolk in the midst of illness and chicanery, and the battle to know which man Thomas or Giles deserves to win her heart. These days, the dispensing medicine/drugs is just for money making and not for helping people get well. Thanks for the chance to win a great story. Thank you for leaving a comment, Lisa. Here's hoping there are still some goodhearted people out there who want to help people feel better. It is an expensive industry though, for sure. Such an interesting post Kathleen. 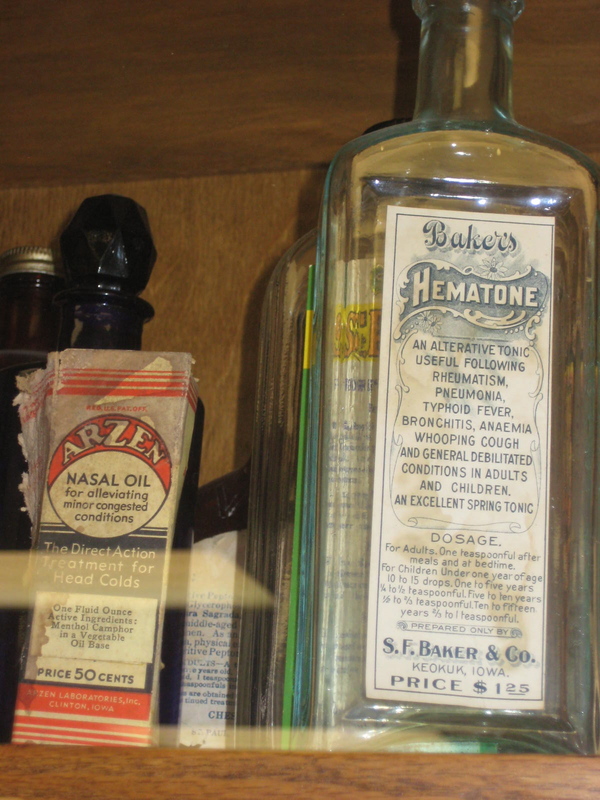 Pharmacies have come a long way through the years. Yes, they have, Cindy W. Some in good ways and other less personal. Thank you for stopping by to leave a comment today. Thanks for the informative post. I found it particularly applicable as I am a pharmacy technician. We are a very small network of stores; I wonder if I could talk my boss into putting in soda fountains!!!! I think not, but it's fun to think about!!! Very interesting post about pharmacies. Thank you for sharing. You're welcome, Susan. Thanks you for taking the time to read the article. wow this is a very interesting article today. And your book sounds wonderful. I love how your visits and research helped build this story. that museum closed. Thank you for your comment. Thanks for sharing this info. As a very little girl I remember one of the drugstores in my small town being a meeting place for some of the older gentlemen. Please enter my name in your drawing. Thanks for sharing that fun memory, Connie. I will definitely add your name to the drawing. Kathleen, thank you for this fascinating post! You're welcome, Caryl. So glad you enjoyed it. That was so interesting! And I love the pictures. You're welcome and I'm glad you enjoyed the post, Allison. A fantastic post about early pharmacists in America. I remember our local drug store had a soda fountain when I was growing up. I lived in a rural area and it was a treat to go there for a soda or milk shake. Later, they added sandwiches for lunch. Wonderful memory and I still recall the owner/pharmacist that had it. Needless to say a big name pharmacy moved into town and the old pharmacy charm is gone. I do not need to be entered in the giveway for Secrets and Wishes. It was an a delightful and awesome read. I was spelled-bound and couldn't stop reading till I closed the book (only to think of the characters and wonder how they are doing). Smile Blessings, Kathleen as you continue to write. I will want another book in this series. your kind words about Secrets and Wishes. contacting you shortly. Thanks to all who participated.